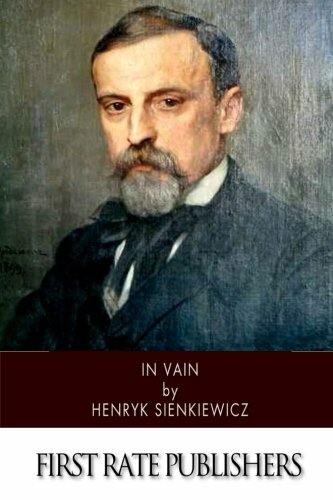 Amazon.com description: Product Description: At a time when the state of Poland was constantly undergoing political turmoil, Henryk Sienkiewicz wasnÃ¢ÂÂt afraid to ruffle feathers. Having already achieved success in his career around the end of the 19th century, the Polish journalist negatively portrayed the Teutonic Order at a time in which his audience lived under German rule. At the same time, he meticulously included historical language in his works, a sort of celebration of authenticity and the past. He would earn a Nobel Prize in 1905 for "outstanding merits as an epic writer." Sienkiewicz mastered historical novels that vividly put readers in places as distinct as 17th century Poland and Ancient Rome. He is still well regarded today for novels like "With Fire and Sword", "The Deluge", Ã¢ÂÂQuo VadisÃ¢ÂÂ, and "Fire in the Steppe".